The shares of AT&T Inc. (NYSE:T) were up 1.43 percent in the after-hours trade after the telecom company posted slightly better than expected fourth quarter 2014 financial results. The company reported growth in its subscribers along with shrinking profit margins because of higher competition from smaller rivals T-Mobile US Inc (NYSE:TMUS) and Sprint Corp (NYSE:S). The telecom company attracted more customers with exciting deals and smaller plans but its overall customer retention was low, as subscribers migrated to other networks. The rate of customer defection was 1.22 percent during the quarter and the average revenue for every single subscriber dropped by 10.7 percent as compared to the previous year quarter. At the same time, AT&T Inc. (NYSE:T)’s profit margin shrank to 36.7 percent against the previous year margin of 42 percent. With increasing competition in the United States and market saturation, AT&T Inc. (NYSE:T) is moving towards new markets including its latest decision to acquire Nextel Mexico and Iusacell for a deeper penetration into the Mexican market. 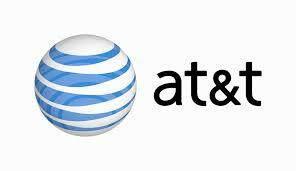 In its fourth quarter 2014 financial results, AT&T Inc. (NYSE:T) announced net revenues of $34.4 billion along with operating losses of $5.6 billion for the quarter. The telecom company reported net loss of $4.0 billion or 77 cents per diluted share of the company against the net income of $6.9 billion in the previous year quarter. The second-largest telecom giant of the country invested $21 billion under capital investments.